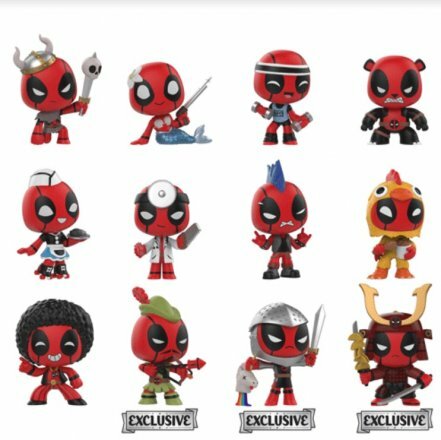 Collectibles / Action Figure / Funko’s Deadpool Mystery Minis Are Awesome! 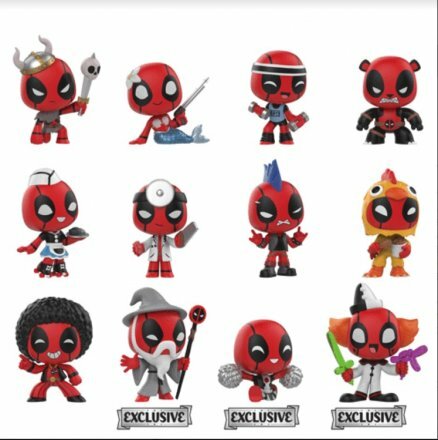 Funko’s Deadpool Mystery Minis Are Awesome! 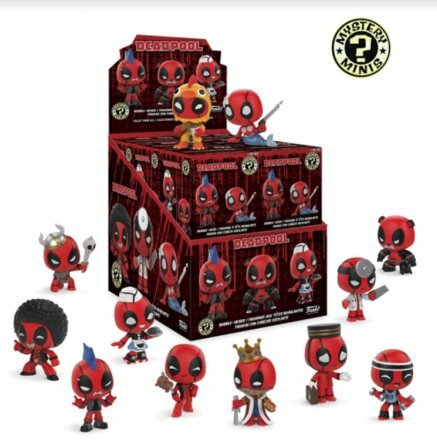 While I’m still not onboard with the vast majority of Funko Pop! 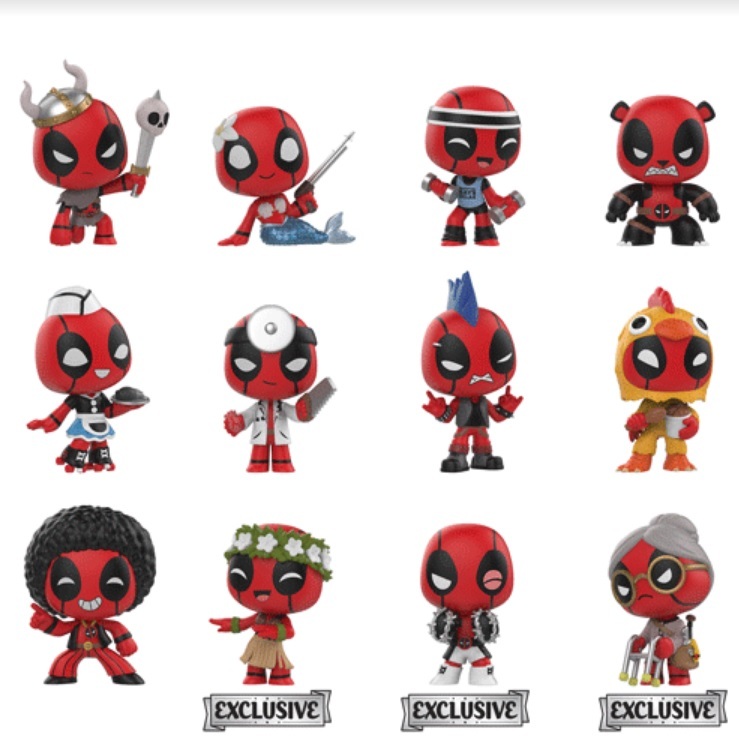 figures, I am equally entertained by the fun they’ve been able to jam into their mystery minis and the new Deadpool Mystery Minis are no different. In fact, if there’s one complaint that I’d lodge against the blind box figures it is that there are not one, but seven retailer exclusive figures, split between three different stores, meaning that collecting this whole set just became an extremely expensive proposition. 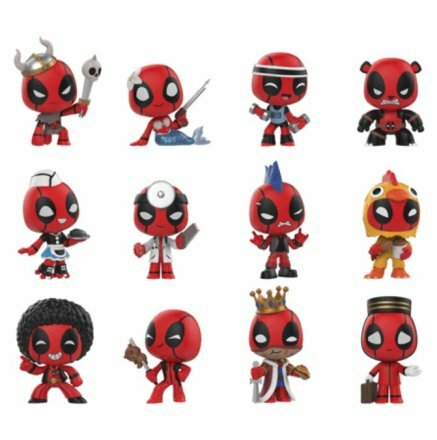 Find everyone’s favorite Marvel mercenary Deadpool in a variety of different fun forms, now featured as Funko Mystery Minis! Collect Deadpool as a Panda Bear, Chicken, Viking, Mermaid, Punk Rocker and many more! You never know who or what Deadpool will show up as! Find Deadpool as a Cheerleader, Clown, and Wizard at GameStop! 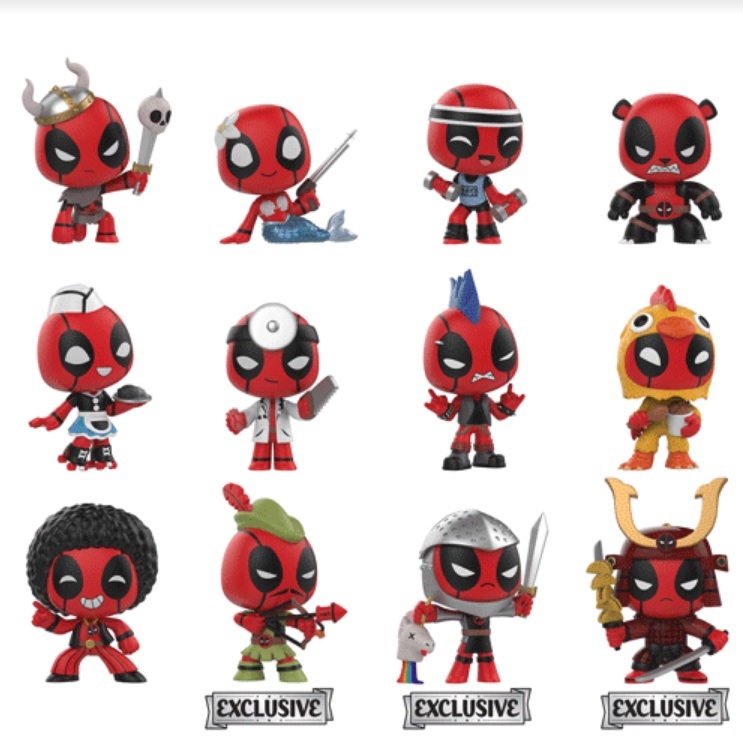 Look for Deadpool as a Knight, Fighter Pilot, and Samurai at Hot Topic! At Target find Deadpool as an old lady, boxer, and in hula attire!